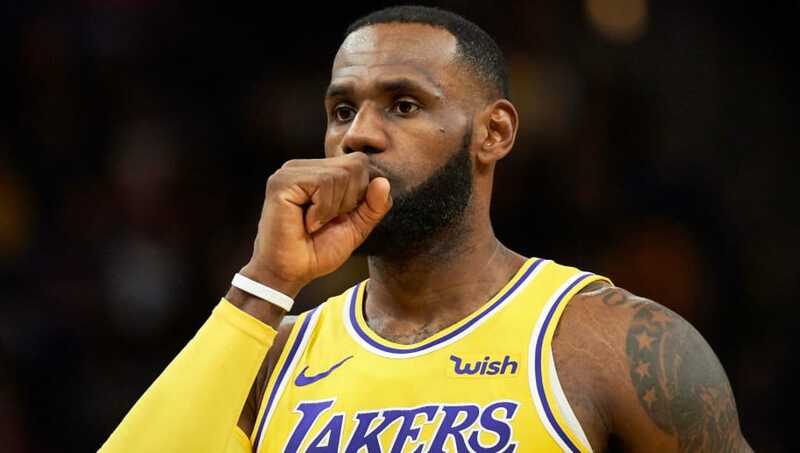 No one really expected LeBron James and the Los Angeles Lakers to get off to a blistering start. We were well aware of the demanding schedule LA had to open the first couple of weeks. LeBron knows he needs time, but ​he claims to be losing patience with his young squad as his Lakers sit at 2-5 through their first seven games of the ​NBA season. ​​We get it. LeBron demands greatness and perfection from his teammates. HOWEVER, he decided to join LA and has no reason complain about the Lakers' youth. This was all right in front of him when he signed the dotted line. ​It didn't help that Jimmy Butler was in his bag last night, but the Lakers clearly lacked late-game chemistry against the Timberwolves. If not for LeBron, the game would've been over with more than five minutes left in regulation. No one expects the Lakers to be a championship-caliber team this year, but a playoff berth is expected. If LeBron could take the Cavs to the Finals with that joke of a roster, there's no reason the Lakers can't make the postseason with even better young talent and more experienced veterans. With that being said, he can't be running out of patience already as this new-look and very young Lakers team looks to establish chemistry early on in the year. We're not going to feel bad for you now, LeBron. You're out of Cleveland, have a skilled and talented roster around you, and the Lakers front office is much more competent than the Cavs'.